On a cloudy afternoon in Chester, NY, located about a half hour drive southwest of Newburgh, we made our way to Rushing Duck Brewing Company. The brewery is the creation of Dan Hitchcock and is entirely a family operation with the support of his parents and wife, Nikki. 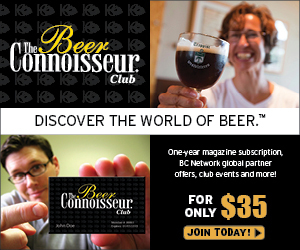 Without investors to answer to, they make beers that they enjoy, including barrel aged beers. In order to get the barrel aging program up and running from the start they ran a successful Kickstarter campaign. Barrel aged beers are available in bottles solely at the brewery’s tasting room. 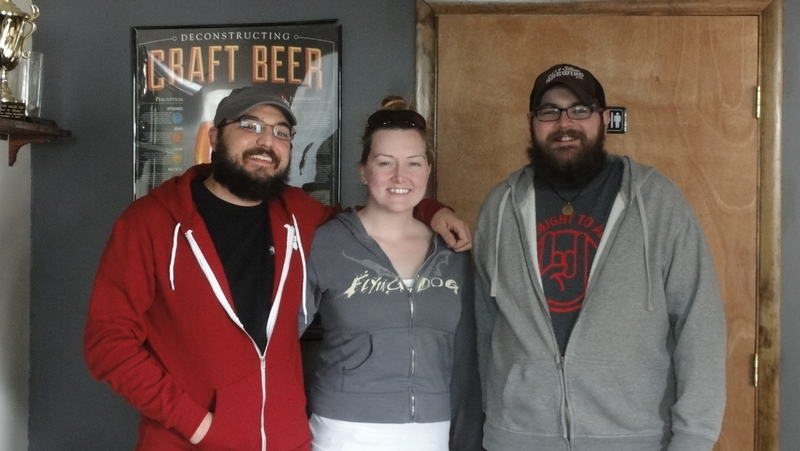 This afternoon Dan was busy doing what he does best, brewing beer, so we spoke with Nikki in the taproom in order to learn about this young Hudson valley brewery. 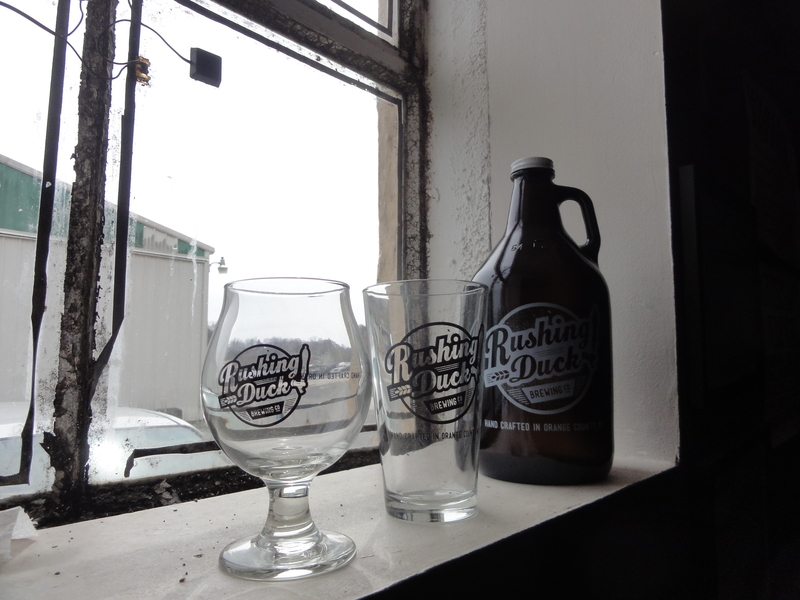 The day brightened up quickly with a tasting of some of the Rushing Duck beers. On top of the War Elephant IPA and a new session IPA, Baby Elephant, we even learned some new vocabulary. The name of their year-round English old ale, Nimptompsical Ale, comes from Ben Franklin’s 1737 “The Drinker’s Dictionary” and is a synonym for drunkenness. 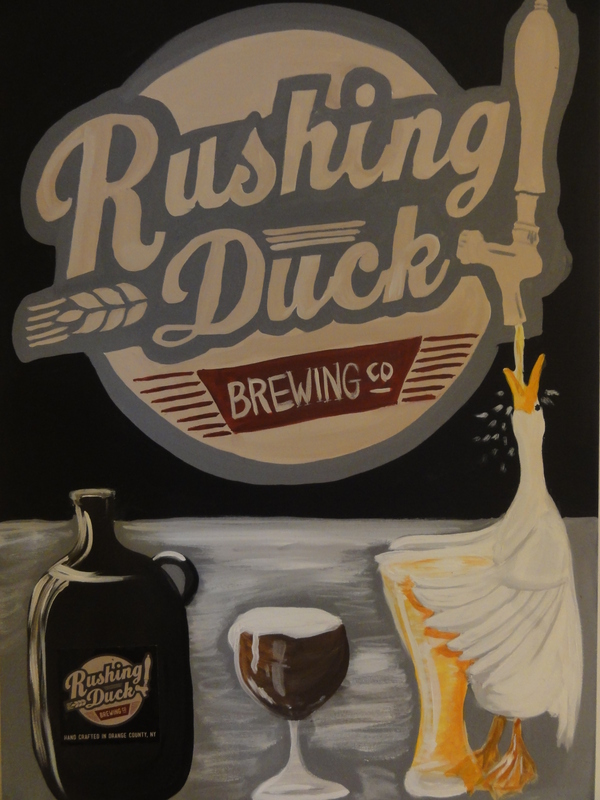 The Rushing Duck name comes from a story told by Dan’s grandfather – they could get beer to go that was served in a metal pail called the duck. When playing cards and running out of beer, whomever lost that round would have to go get the duck filled and they called it ‘rushing the duck’. The brewery had new tanks arriving shortly after our visit and is looking to further expand distribution within New York. We encourage you to try some of these tasty concoctions whenever you are in the area and want to thank Dan and Nikki for sharing their story with us. * Building is in the basement level of an outdoor clothing store. Used to be a storage facility for local railroad. * 3,500 sq. ft. facility with 4 fermenters: 3-15 bbl and 1-7 bbl. Got In new 15bbl fermenter and whirlpool after our visit. The plan is to cap out at around 5,000 bbl production. * Marketing is done grassroots, through word of mouth and social media. * Tasting room is open 2 days a week: Friday 4-7pm and Saturday 12-6pm. 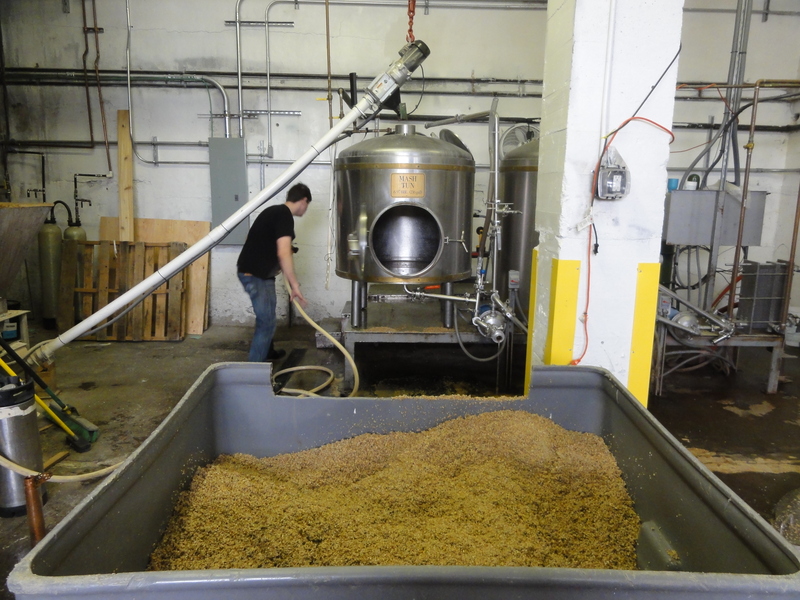 * Dan started homebrewing at 18, has previous experience brewing professionally at Weyerbacher (4 years), and attended school at the American Brewers Guild. 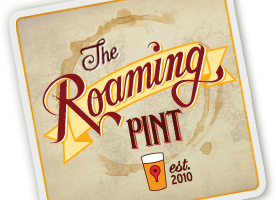 * The brewery started on a shoestring because didn’t want to answer to investors. Only investors are Les and MaryAnn Hitchcock, Dan’s parents. 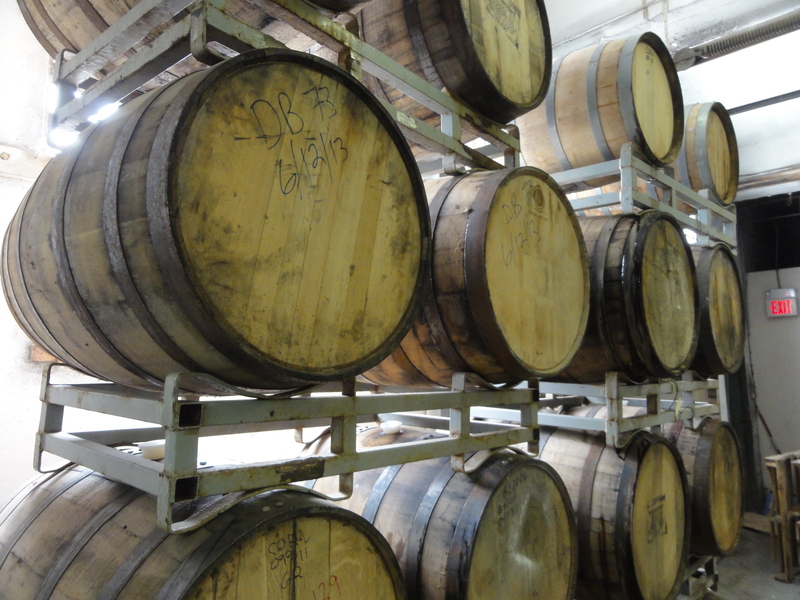 They did a successful kickstarter crowdfunding to raise capital in order to get the barrel aging program started. One guy donated enough to collaborate on a beer with them and he did not drink beer, asked to brew a beer his wife, who is Indonesian, would like — Bauli Saison. 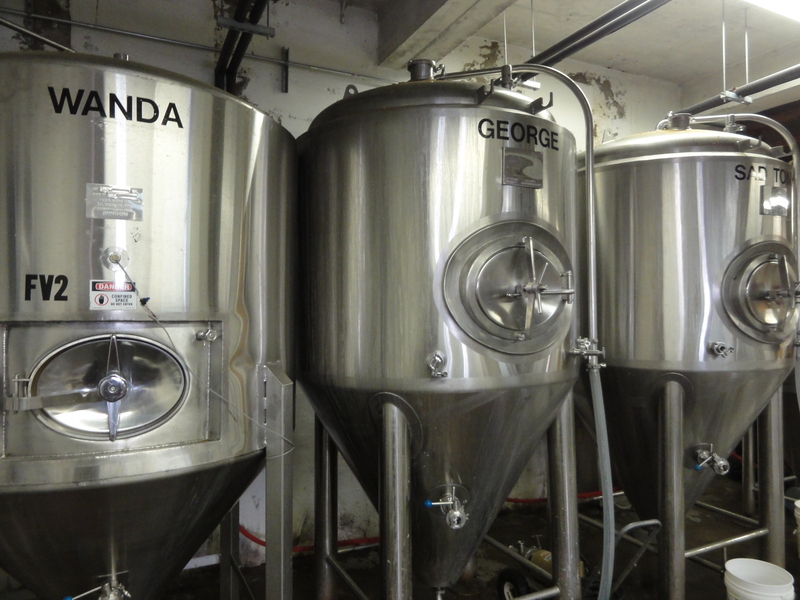 Also had others who donated enough to be able to name fermenters. * Dedicated to quality, locality, and being a family business. Brew the beer they like to drink. Goal is to be as local as possible, using local honey, coffee, bbl, etc. Not much local options for hops and barley because no local processing of those ingredients. Towards that end, they just applied for Farm Brewery licence (have to use a certain percentage of NY ingredients) and will allow them to sell pints in the tasting room (currently you have to have a separate licence, a restaurant licence w/ kitchen). * Opened with self distribution to 10 accounts. Now in about 150 accounts in Hudson Valley to Albany, Looking at getting into NYC by August. * Do a full week of events to celebrate the anniversary in August. Last year did Yeasayer – Triple Pale Ale. This year will likely do a blend of bbl aged beers. *Year round beers are Nimptopsical Ale, Naysayer Pale Ale, and Beanhead Coffee Porter in partnership with Java Love Coffee Roasing Co. in Kauneonga Lake. Also, War Elephant (started as seasonal and now released quarterly) and Kroovy Imperial Red Ale as frequent as possible. * The name for Nimptopsical Ale comes from Benjamin Franklin’s “The Drinker’s Dictionary” and is a synonym for intoxicated. There is also an imperial version of Nimptopsical Ale aging in rum bbl. 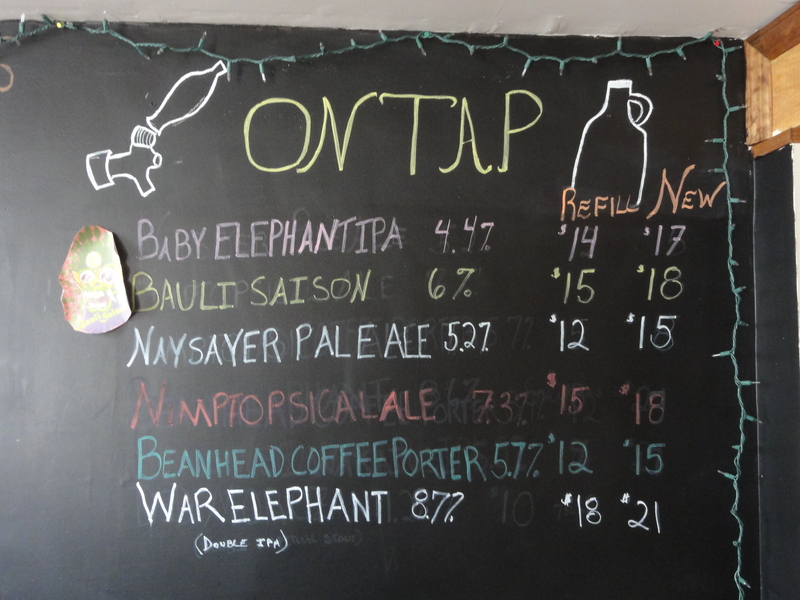 *Popular IPA, War Elephant, was reformulated to a 4.4% session IPA called Baby Elephant. * Barrel Aged beers are only released at the brewery. Dog’s Bollucks is a English-style barleywine with 25% aged in Bourbon barrels. Imperial stout in Bourbon barrels. * Get bourbon barrels from Warwick Valley Winery & Distillery who make Doc’s Hard Cider. Also getting Applejack barrels. *Doing a wild ale fermented in cider barrels. A new fermenter arrived the week after our visit. 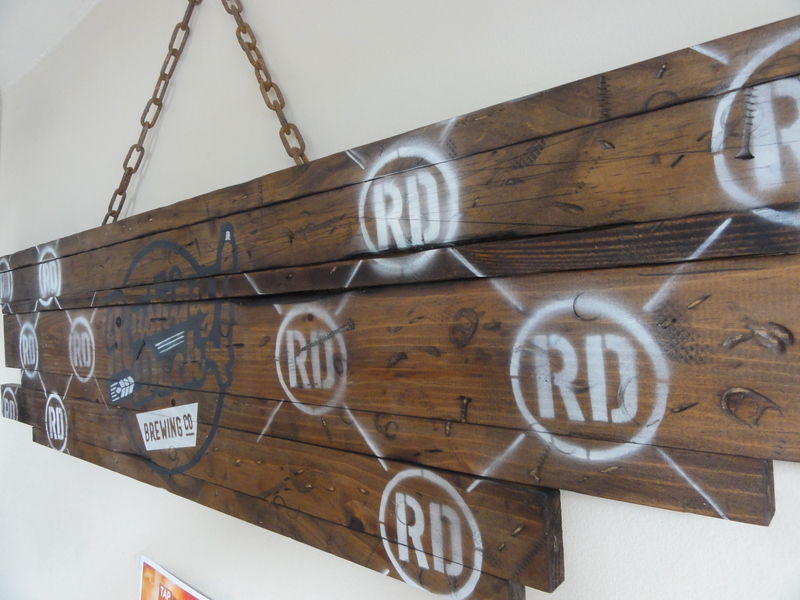 Tagged Beer, beer travel, Brewery, brewstravlers365, chester, craft beer, NY beer, Rushing Duck, Rushing Duck Brewing Co.